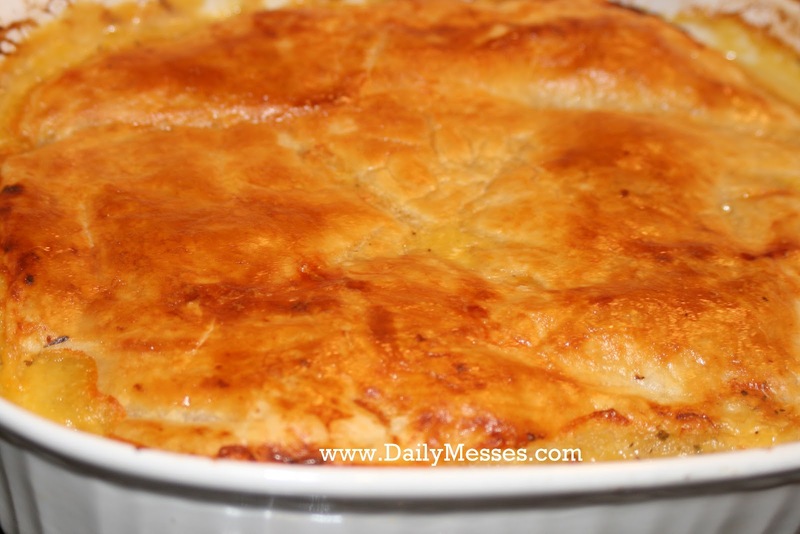 This is a really easy way to make a pot pie! It's always a big hit at our house and I hope it will be at yours too. Prep time 10 min., Total time 40 min. Serves 6. Heat dressing in large skillet. Add chicken. Cook and stir 5 minutes or until cooked though. 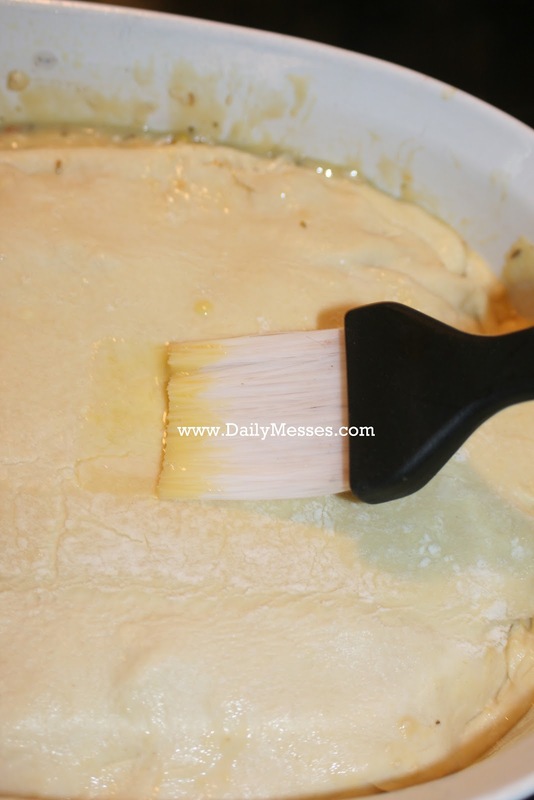 Spoon into greased 9 inch square baking dish. Unfold pastry sheet. 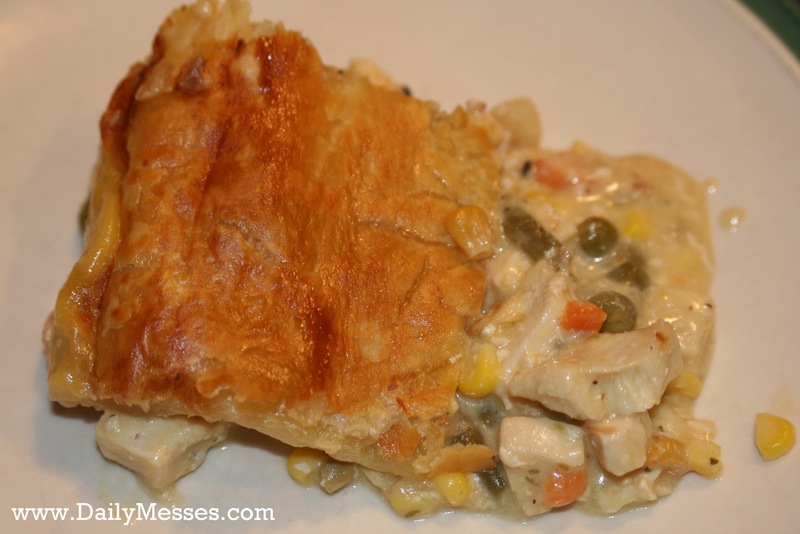 Place over chicken mixture. Fold under edges of pastry. Press down to seal. Brush egg onto pastry. Cut several slits in crust to permit steam to escape. Place on cookie sheet (in case of overflow). Bake 30 minutes or until golden brown. Let stand a few minutes before serving.